Discussion in 'Reate Knives' started by True Talon, Jul 24, 2018. Release date is pushed back to September now. So the JACK is the next one to drop? Looks like it is - but both might be roughly the same time. These are shipping any day now, right? Check the list of Reate authorized dealers, at last one of them has the Crossroads in stock. 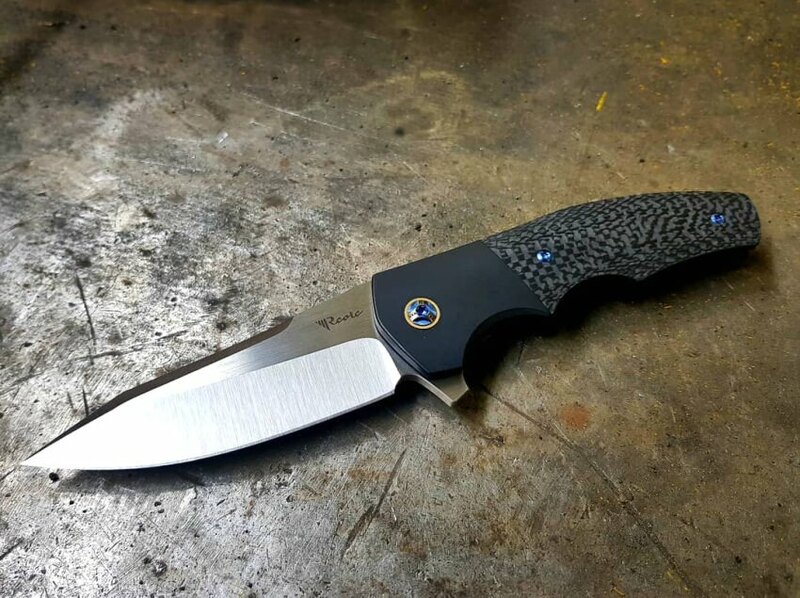 Has anyone got a final confirmation that this will or will not be offered in micarta? I am between a CF Eraser or a CF/Black Crossroads. Can't really decide. Perfect fit and finish of course. Hollow grind is perfect for the thick blade stock. Alsharif and blujaydad like this. I ended up going with the Crossroads, black bolster and regular CF. Should be here tomorrow. I might get an Eraser next month if they are still readily available, we'll see. goldie and AF like this. That is an attractive knife. I have owned 2 kirby lambert knives, they were wonderful and they were both too nice and pricey for me to use. This one could slip in the Lees without too much trepidation. My experience with Reate leads me to believe this may function as well as a full on custom..
Great pic b00n, I hope you enjoy it. Alsharif and b00n like this. I saw a youtube video of a guy saying Chinese knives are all looks and gimmicky and aren't that good for using or cutting; I beg to differ I have a district 9 plus among others that I have no problem slicing or cutting. This crossroads im sure is no exception. Great Action, easy to deploy and is just drop shut enough so it doesn't fall on your finger but needs barely any effort. The hollow grind was a good choice, very good cutter in my opinion. It's quite pretty but has as much function as it has form. If I had to find flaws I would mention jimping, the one on the flipper tab could use a little more grip to it and some on the spine could be practical. But those are nitpicks. Buffoons. These people have computers, home appliances, and phones made in China. It's just perfect. You won't regret it, it's definitely worth all the hype.